When flying to or from Hailey, Idaho with a private jet charter company, you can't find a solution better than Paramount Business Jets. Convenient travel to Hailey is facilitated by no fewer than 11 airports within reasonable driving distance from the city. The closest and most straightforward option is the Friedman Memorial Airport (SUN), which is Hailey's own local airport. We provide you with unlimited access to an enormous array of more than 15,000 business aircraft available for you to reserve on-demand. Ranging from the Citation CJ3 to the Leerjet 35A, light jets are a popular choice in Idaho. Standard midsize jet options in the area include the Citation VII, Gulfstream G150 and Hawker 800 XP. For those who require large jets, frequent choices include the Falcon 2000 and the Challenger 604. 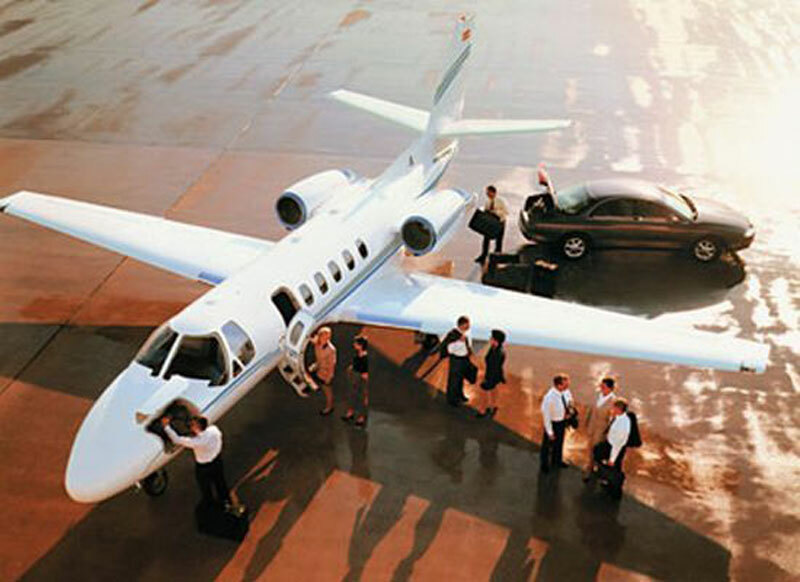 Turboprop flights, luxury VIP airliner charters, and empty leg jet flights are also available in the vicinity. For further information about Paramount Business Jets's private jet charter services, don't hesitate to get in touch with us any hour of the day at +1-877-727-2538 to get started now. Nestled quietly in the Wood River Valley just 11 miles south of Ketchum/Sun Valley is Idaho's state's capital Hailey. Conveniently located in the Rocky Mountains Hailey offers its residents and visiting tourists lots of activities such as: hiking, skiing, biking, kayaking, white water rafting and more. Needless to say, its definitely on the 10 ten places to visit for an adrenaline rush. Aside from its extra circular activities, Hailey also has interesting shopping, dining at the many five star restaurants, and constant exciting year round events. Cultural venues in Hailey include the Blaine County Historical Museum and the Company of Fools.